It’s always been hard to find a framework for analyzing Somalia. It has one of the most ethnically homogenous populations in Africa – Somalis share the same language, culture, religion and clan structure – yet the country seems constantly riven by conflict. Somalia has long been viewed in the West as the basket case state in a basket case continent, as peace conference after peace conference and foreign interventions came and went while clan fighting continued. Maybe the answer is ditch your frameworks and read Mary Harper’s new book on Somalia. Her informed, perceptive and empathetic book could not be coming out at a more apt time, with the country experiencing a major Kenyan military incursion and a continuing African Union military mission in support of a vulnerable and probably unviable government. It’s a work that demonstrates the importance of engaged but impartial journalism and clear, uncluttered thought expressed simply but effectively. Harper’s analysis supports the argument made by Richard Dowden (African Arguments, 20 Ooctober 2011) about not forcing statehood on Somalia. He rightly points out that “Strong centralized states are the legacy of colonial rulers and unsurprisingly the inheritor governments have kept it that way.” This has been tried in Somalia and failed. If the African Union and the West, fearful of a Somalia without a strong centralized authority, try to smash not just the Islamists like Al Shabaab, but also other autonomous forces in order to artificially maintain in power an unrepresentative and largely unwanted central government, they will just replicate the errors of the past and prolong conflict. Centralized authority is not part of Somali political culture – only the Islamic courts movement had any real success with unification. This was a totally Somali answer to the problems, but one which did not please the United States or Ethiopia and so was swept away by outside intervention. All this is clearly understood by Harper, a journalist with the BBC African Service for more than 20 years and one who had reported from Somalia and regularly visited the country since 1991. Above all in her work she tries and succeeds in conveying understanding, and where understanding is difficult or impossible, to convey why this is so. Somalia is the ultimate image, for many, of the failed state. It has seen almost constant conflict since the overthrow of Siad Barre in 1991. It has also suffered a series of ill-conceived, poorly executed and severely damaging foreign interventions – from the disastrous US intervention ending after the now infamous Black Hawk Down episode, via the US-backed Ethiopian invasion to overthrow the Union of Islamic Courts, to the endless and largely pointless peace conferences held in plush hotels around East Africa. These events are described clearly in their historical, political and international contexts and show how a lack of understanding of Somalia, its history, culture and political development led to attempts to force change that were doomed from the start as they worked against reality – “˜Outsiders tend to find it a hard place to understand, and there is generally a wide gap between the various attempts made to introduce solutions to its problems and the reality lived by its population’. This gap in understanding is not just a European or American phenomenon. Somalia differs hugely in its culture, traditional structures, economy and informal political/social institutions from much of Africa. The clan-based pastoral system that encompasses the economic, social and political spheres makes Somalia a poor environment for centralised government on a Western or hybrid Western/African pattern. Siad Barre failed to forcibly centralise the state. Peace conferences based on the participation of elites distanced from the grassroots, trying to hammer out Western-backed deals involving centralised transitional governments have produced weak regimes that have not only failed to end conflict but have all too often worsened it. These attempts are described, picked apart and roundly and cogently criticised by the author, as is the tendency to view Somalia through the prism of the “˜War on Terror’. For me, the most valuable section in what is a well-written and very well-informed study, is that dealing with Somaliland and its slow, careful and, above all, Somali-generated progress from a break-away state beset by competing clans or movements to one of the most stable and inventive polities in Africa. Denied international recognition, but also largely free of outside interference, Somaliland has developed a working economy and an indigenous hybrid system of representative government that involves but doesn’t just centre on the clans and which is increasingly accountable – “˜Because Western models of peace-making and state-building have not been imposed from the outside, Somaliland has in many ways saved itself from the fate of Somalia. The example of Somaliland has demonstrated that when left to themselves, Somalis can form a viable nation state’. This is a book that must be read by those who want to understand Somalia. 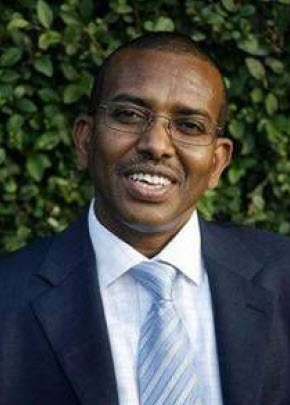 It is engaged but balanced and very clear in its well-founded belief that “˜until Somalia is more clearly understood and a different approach is found, it will continue to perplex, alarm and threaten the international community, and it will be very difficult to find a way forward for the counter which works for the Somalis themselves and for the outside world.’ And, as Harper rightly concludes, the world needs to be more creative, like the Somalis themselves, in its dealings with the country and “˜recognize that Somalis can be very good at doing things for themselves’. I would like to thank Mary Harper for her book becouse what she said I think is enough to someone who want to understand about somali people and their country.I always say the child of colony never bring good to Afric specailly a country like Somalia 100`% muslim,stratigy point and rich with oil.small minded people might say Somalia is failed state but they have to remember that Somalia how it was before 1990 peaceful law and order.Somalia has many enemy as we know, but two main enemy to Somalis and their country are Kenya and Ethiopia with support of so called super power(USA).How so called international comunity seek advice to enemy of Somalia.I conclude whole world must apologize to Somalis and Somalis run their affairs. I have to first command Ms. Harperâ€™s tireless effort in writing this wonderful book. I agree with Keithâ€™s review and analysis. What attracts me is Harperâ€™s truthful information regarding Somalilandâ€™s success in reconciling their clans as well as building democratic institutions. As Keith explains, Somalis only can solve their problems with their traditional mechanism of conflict resolution. This is evidenced by the failure of the international community to end or solve the Somali crisis in the last twenty years because all international peace conferences which have been sponsored by international community failed miserably. I dis agree with Ali nuurâ€™s comment saying that Kenya and Ethiopia are the only two enemies who are making impossible a peaceful Somalia. I believe that Egypt fuels the Somali crisis more than Ethiopia and Kenya, since they donâ€™t want stable and strong Ethiopia who can utilize the Nile River. Somalis have to understand that peaceful Somalia will be possible only when Somalis allow peaceful Ethiopia.